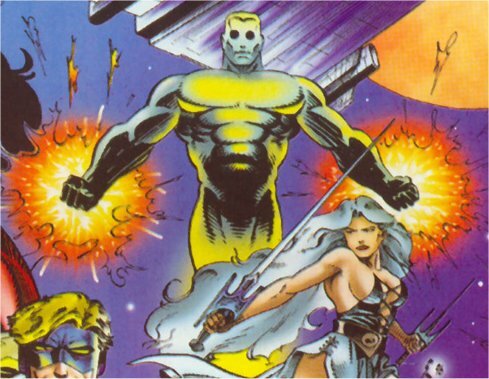 Powers/Abilities: Solar can fly, and appears to be able to generate bolts of (presumably solar) energy from his hands which can concuss or burn anyone they hit. History: After being murdered by the villainous Kobalt, Steve Ryan was revived by the scientific genius Nikola Tesla, and transformed into a superhuman. Steve became Solar, one of Nikola's new team of heroes, Generacija Tesla.